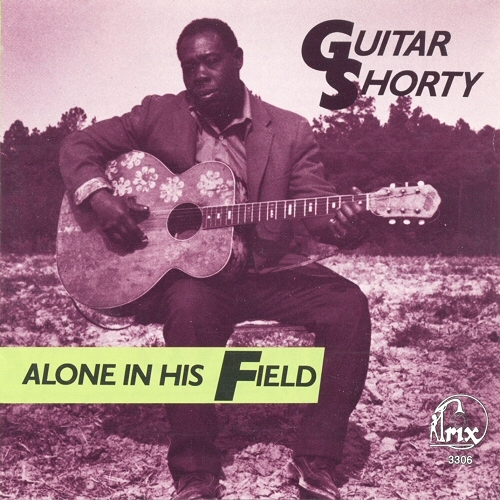 Guitar Shorty is an unique indivldual, both from a musical and personal standpoint. In the former, he is a total musical animal, often spontaneously creating material on the spot – it matters not where or when. A recording microphone doesn’t daunt him at all, nor does it matter what sort of crowd it is around him, whether the oft slightly derisive blacks in Elm City’s “Bloodfield”, or the wildly appreciatve whites of a Chapel Hill club . . . it’s all the same to Shorty. He just goes on making his music. Even his guitar tuning is not “standard”, slnce he is always in EBGEAE, rather than regular tuning or an open chord – in a way he covers many of the benefits of either type of tuning. There as always a dangerous looking bottleneck on his frettmg hand (little finger) – always there, but not always utilized in a song. As Danny McLean (“discoverer” and advisor) has said, “He tunes his guitar like standard, except that the 4th string is raised to an E, a cross-tunmg. Were the 5th string raised to a B, It would be an E minor, tuning, but as it is, it’s A9. Shorty treats it as progression an EA7B7, but the ralsed 4th helps the steady bass and allows some one-finger barres and bottleneck without much dlscord.” Quite unique, I’d say. As a personalty he is also extroverted, and he has been known to do strikingly accurate Elvis Presley imitations, even swiping his wife’s wlg to aid the “bit”. As to anything concrete about hlmself, it it well-nigh an imposslble task to interview the man – little believable is forthcoming at all. He claims many things, including serving as Presley’s guitar instructor, playing with the Beatles, and later the Boston Symphony! Other vocations include cop, preacher, FBI agent, and recording artist (he lays claim to cutting fifty sides in New York City). More logically is his known work as a farm-worker, and a builder’s helper in the Rocky Mount area, aIthough some of his stories are often repeated and may well have a grain of truth in them. 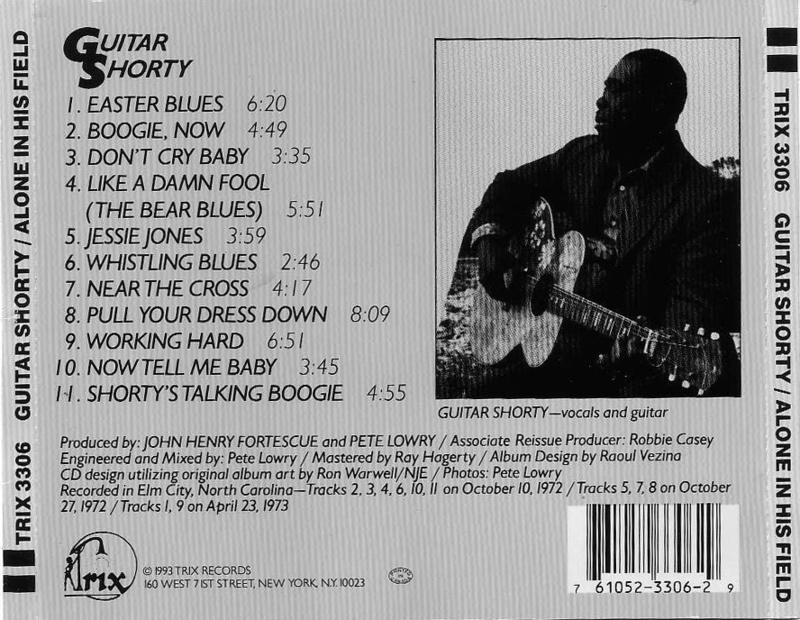 Born John Henry Fortescue in the town of Belhaven, N.C. at an unknown time, Shorty is possibly in his early forties. I am convinced that Shorty has no idea how old he is, and it isn’t of major importance (to him). He now lives in Elm City, N.C., a very small town between Rocky Mount and Wilson – he lives in poverty in a house next to one of the fields he often works . . . the white man across the way owns it all. Life is hardly romantic, unless one is masochistic and likes starving, getting drunk, and waking in jail on occasions. When not working, he drinks, plays in the streets (that’s how McLean met him the first time), or often in a church on Sunday (with his wife Lena). While Shorty will own to no influences, and not without reason, I feel that some can be heard nonetheless. Though away from the Piedmont mainstream, he must have heard Blind Boy Fuller, and to these ears there is a touch Lightnin’ Hopkins as well. On this LP are blues, boogies, and one church piece. From llstening to this album, it should be very obvious that John Henry “Guitar Shorty” Fortescue us very much hls own man, and a very entertaining one at that. 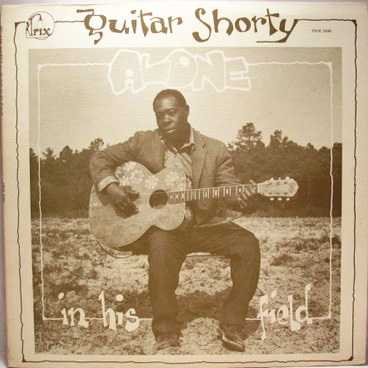 Guitar Shorty (who died in late 1975 in eastern North Carolina) was an unique and original musical being. He was able to spontaneously create songs out of his life and imagination – Bukka White called his similar pieces “sky songs” – that were coherent wholes, no matter where they went. Such items as “Easter Blues” or “Working Hard” on this release are like that . . . off-the-cuff creations. Also, there’s another session where I asked Shorty to do the dirtiest song he could think of . . . he did, but that’s for a later album! Shorty was also a raconteur. While it’s hardly likely that he tutored the Beatles, some of his stories did have kernels of truth in them. While he didn’t cut fifty sides for an unnamed NYC major label, he did make it into the Savoy studios in Newark, NJ. about I952. There are two sides that Savoy never issued that are listed under the artist name of “Hootin’ Owl” (the titles are “Wine Drinking Baby”/“I Love That Woman”). It takes only a few bars to hear that Mr. Fortescue was speaking some truth about previously recording after all! As for Trix holdings, between other titles from these sessions and later ones, there is enough material for at least one more quality release. Poverty isn’t pretty or romantic, and Guitar Shorty lived in dire straits around Elm City, N.C. The little bit of money he was paid for recordings and occasional coffee-house appearances probably doubled (or more) his annual income – he even had a bank account for a while. In spite of his state of life, Shorty’s spirit was such that he created wonderfully original and joyous art, as this album demonstrates. Let’s not be romantic about this ability, but let’s celebrate it as best we can . . . Guitar Shorty would have liked that. The eleven pieces on this album were taken from two recording sessions at his home in Elm City, NC over two years (1972-1973). A further session was done in 1975.